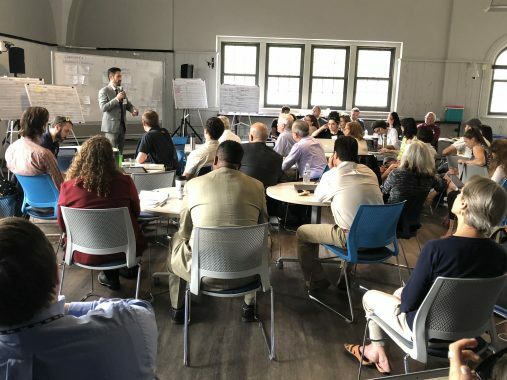 On May 3rd, Tufts University held a community resilience building workshop on the Medford/Somerville campus facilitated by The Nature Conservancy. The aim of the workshop was to understand Tufts can plan for and adapt to natural and climate-related hazards so that the campus can become more climate resilient. Climate resilience is a key component of the Second Nature Climate Commitment that President Monaco signed in 2016. In addition to climate change mitigation, it is also important that communities come together to prepare for some of the predicted impacts of climate change that we do not have the power to control. Learn more about the workshop and some of the key takeaways on our blog. Read the Tufts Community Resilience Building Summary Report about the workshop.